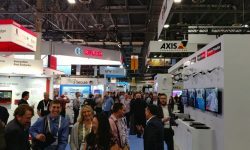 LAS VEGAS — Axis Communications will debut new products including network audio, multidirectional and infrared (IR) cameras, and access control technology at ISC West this week. In response to demand for more heavy-duty PTZ cameras with built-in IR illumination, Axis is launching the new AXIS Q6215-LE PTZ network camera. The camera comes with a half-inch sensor and combines high-quality imaging with fast pan, tilt, and zoom functionalities. AXIS Q6215-LE features long-range Optimized IR technology alongside IR LEDs capable of adjusting to the camera’s zoom, enabling superior video quality at up to 1,300 ft., even in low light or complete darkness. AXIS Q6215-LE features a robust design capable of withstanding difficult weather conditions, including wind speeds of up to 150 MPH, making it ideal for open-area surveillance such as airports, harbors, and highways. AXIS A8207-VE network video door station represents the evolution of the traditional door station, combining access control, two-way audio capabilities, and a 6MP security camera in a single device. The station also includes an integrated RFID reader for easy employee access and enables remote entrance control using a computer, phone or mobile device. AXIS A8207-VE reduces the number of devices needed at the door while supporting analytics including motion and sound-based detection, which can be used to trigger events including verbal greetings or recordings. 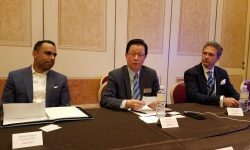 Additional benefits include a built-in keypad for dialing and PIN verification, acoustic echo cancellation and noise reduction, and SIP, VAPIX, and ONVIF compatibility. 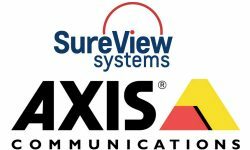 AXIS A8207-VE easily integrates with other systems and solutions, including video management, access control, and VoIP communications. 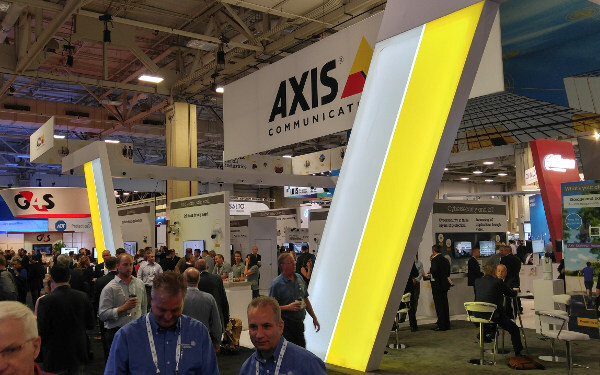 You can find these new products and more in the Axis booth, #14051, at ISC West in Las Vegas.